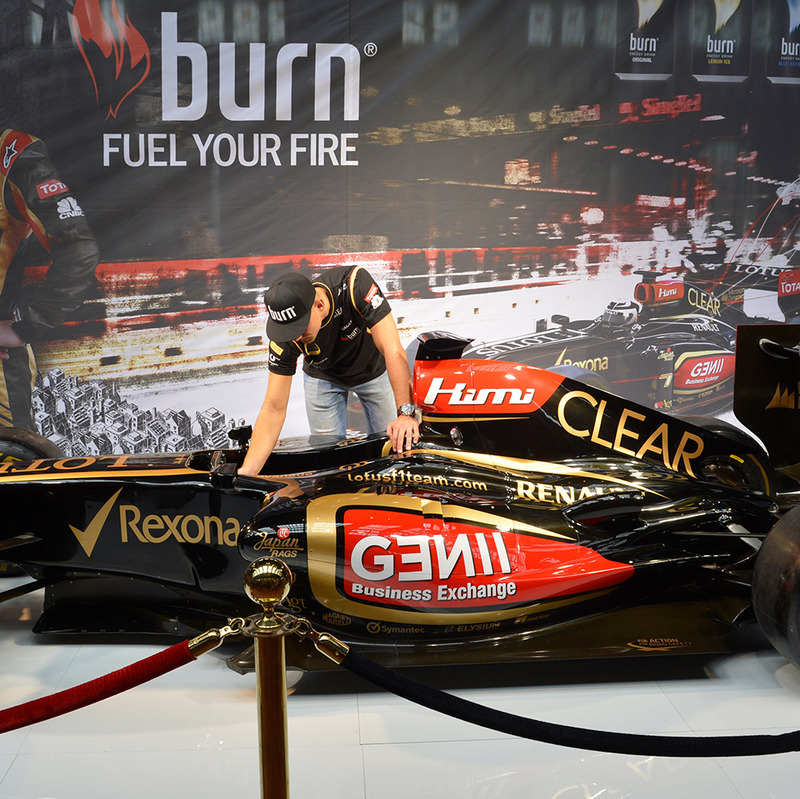 Concept: We wanted to spread awareness of BURN’s three different flavors and showcase the Formula-1 Racecar, in which BURN is sponsoring. 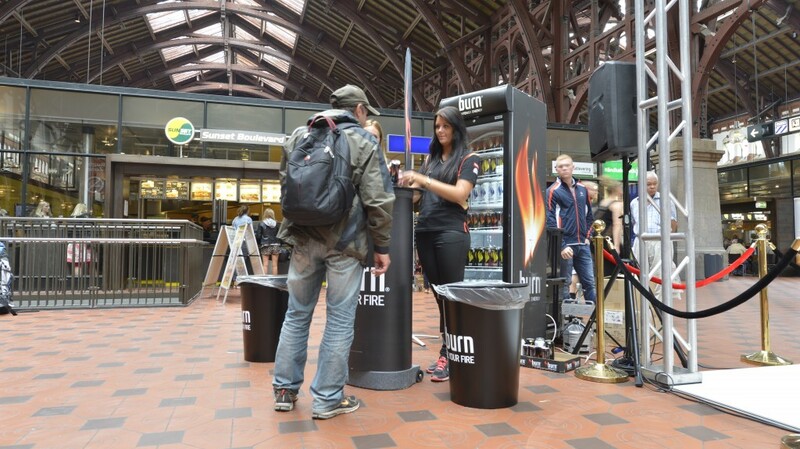 We went out to frequently populated areas like Copenhagen Central and gave away samples of the three flavors, in order to reach out to a broad demographic. 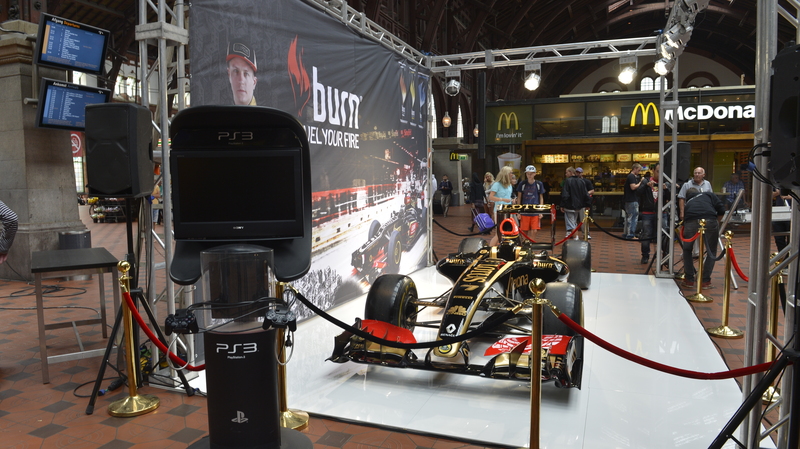 We also had the famous Danish formula-1 racecar driver, Marco Sørensen, sign autographs and he was even on GO’Morgen Danmark giving an interview. 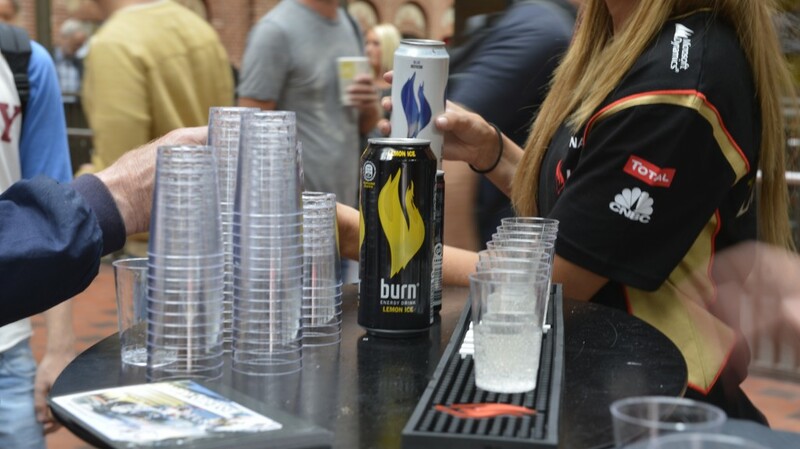 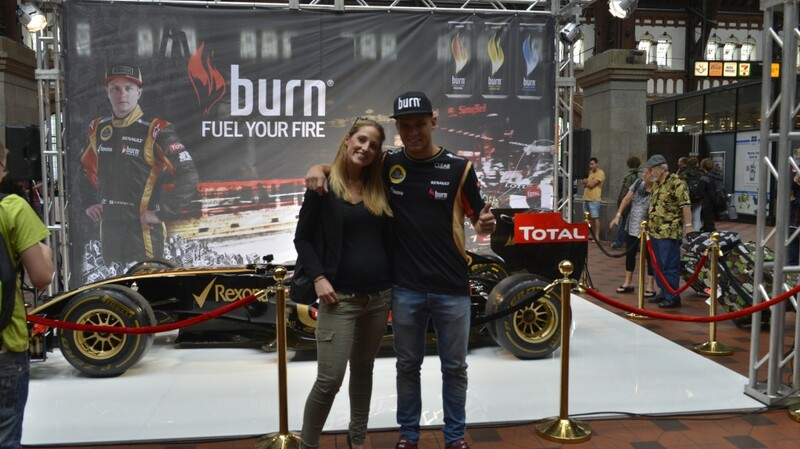 There were an estimated 150.000 people at the BURN stand and over 8500 samples were given over the course of 3 days.